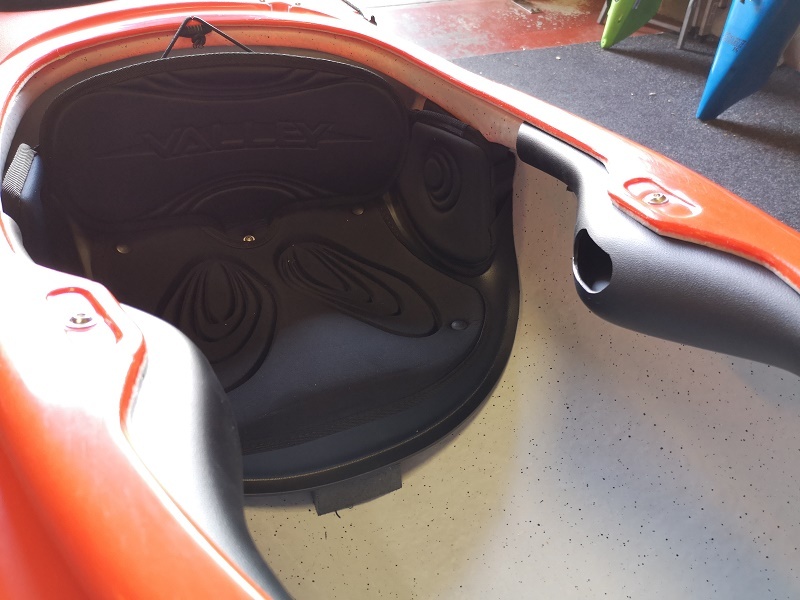 The Valley Etain RM is a fast and spacious expedition sea kayak with room for plenty of kit. The Valley Etain is a true expedition sea kayak. With a fast v-shaped hull and plenty of storage. Compared to the older Valley designs we all know, the Valley Etain has better initial stability due to its shallower V section hull and swede form design. Don't be fooled though, the Valley Etain is still a lively ride and will perform in the roughest of sea conditions. The hull also has a moderate amount of rocker which allows you to still have a fun and once on edge the Etain sits on a solid wall of secondary stability and allows you to turn positively and effortlessly. The Valley Etain is fitted out with everything you would expect to see from a top end expedition sea kayak including 2 day hatches and 2 cavernous bow and stern hatches. In late 2017 the Etain received a facelift, this saw the end of the removable deck pod and now features a built in deck hatch. The new hatch has plenty of room for your camera and snacks, and it ensures the paddler has ample leg room and foot room which is essential. Loaded or unloaded the Valley Etain will paddle equally well, whether you're out for a day trip or have the boat full of gear for weekend expedition. The Valley Etain also has a drop down skeg. This helps with directional stability in windy conditions. The Skeg blade is large and also wire operated which is longer lasting and easier to replace than standard string operated skegs. 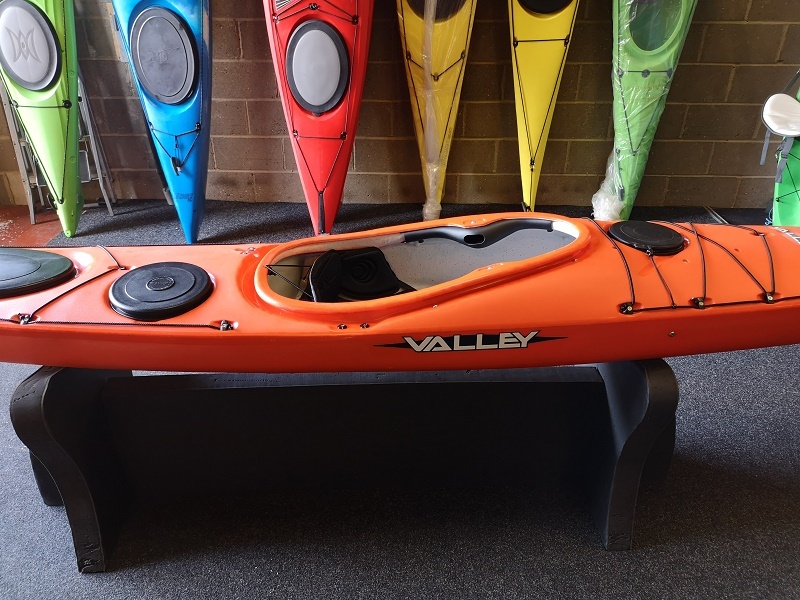 The Valley Etain RM retains all the features of the composite model built in an advanced triple-layer polyethylene construction making it rigid, durable and buoyant. The Valley Etain RM is available in three sizes 17.5 and 17.7 so there is an Etain for every paddler. We offer a delivery service for the Valley Etain throughout the UK & Ireland to home and work addresses. If you are local to our shop in Hamworthy, Poole then we may be able to deliver a Valley Etain with one of our own vehicles. For boats, this is free to most BH Postcodes - please call us on 01202 625256 to discuss your requirements. Buy a Valley Etain online from our website and collect from our shop in Hamworthy, Poole or you can collect from any branch within the Canoe Shops Group. There is no cost associated with instore collection.